The Spring weather is trying to win over here, but we have still had 3 separate days of snow this past week. Thankfully, the sun is now high enough to melt the snow quickly after each fall. 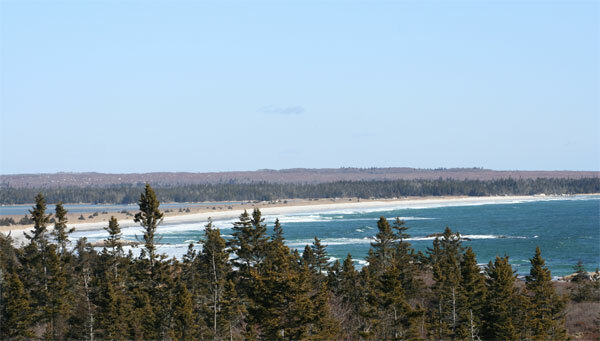 Kejimkujik seaside adjunct is one of our favourite beaches. Last week-end we could have mistaken it for the Caribbean. The sun shone and the sea was so blue. 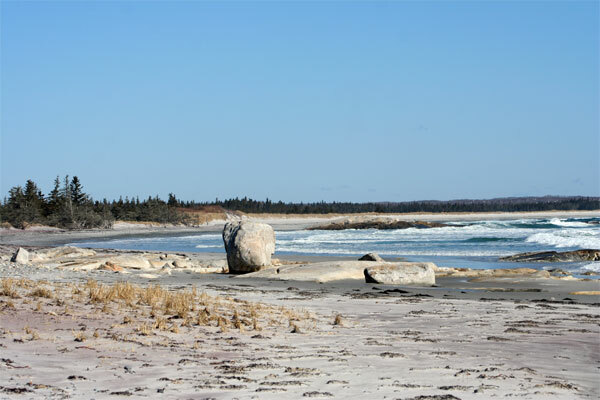 What I really love about our beaches is that we have them to ourselves in the winter and this trip was no exception. The only pieces of rubbish we ever see are fishing items which have been washed up in a storm; like ropes, creels, floats. We never see the piles of plastic that were washed up on the beaches on the east coast of Scotland. 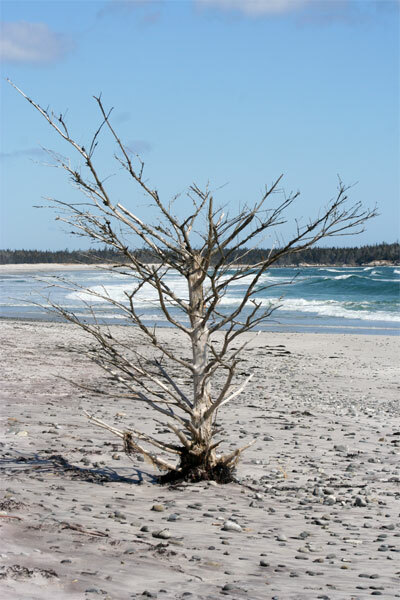 Parts of the sand dunes are being taken over by the sea, but some trees try to cling on to life. 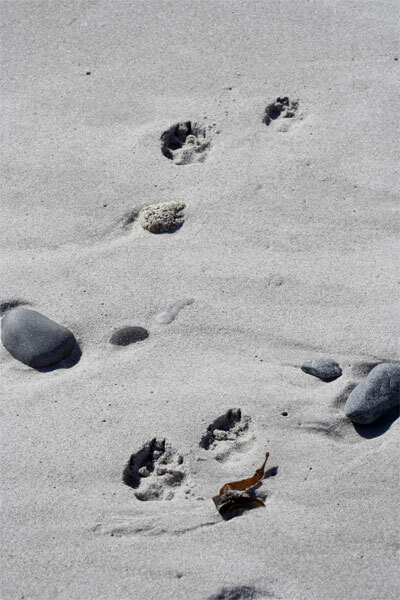 These were the only prints on the whole beach other than our foot prints. I think they must belong to a fox. 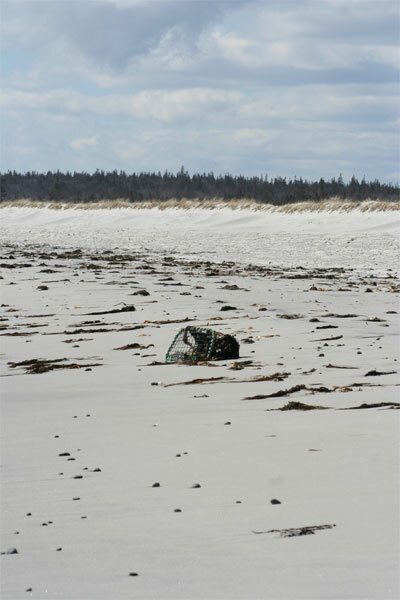 Out to sea, the wrecked boat still sits on Little Hope Island. It looks so much further away than it did last time I photographed it, with the same camera. 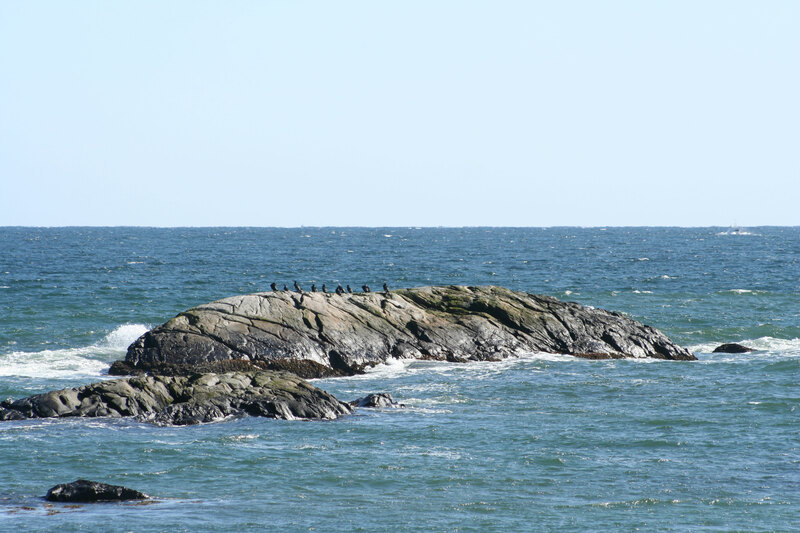 But perhaps the previous photo was taken when we walked around the rocky headland. 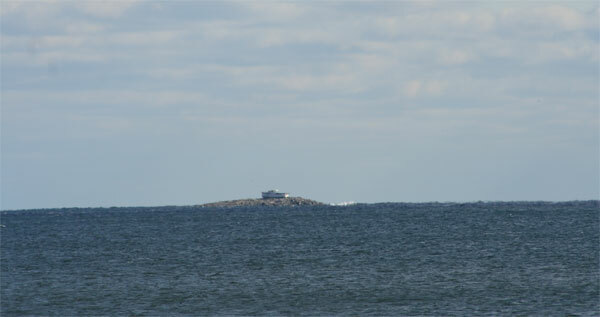 Seemingly the boat was being delivered to Tancook Island when the crew fell asleep. 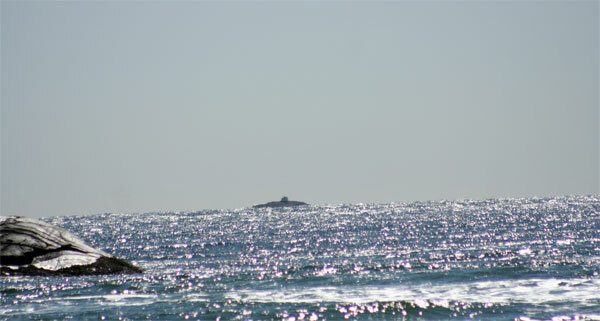 It ran aground on the island and seems to have withstood several hurricanes. Jackie, I’ve only been to Keji Seaside Adjunct once — back in the fall when my brother came for a visit. It was so very beautiful. I want to go back and when the seals are basking. I’d heard about that boat, but your photos really show how high and dry it is. WOW. Yes, we walk at Keji two or three times a year, usually when we don’t have to pay! We’re Scots after all! When does Lynne move here and has she found a house yet?